Story board and line art, creative solutions for telling any story. Traditional skills such as pen & ink, marker, gouache, watercolor, and colored pencil can be combined with digital techniques for final presentation. 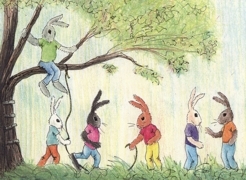 A wide range of styles available, from simple cartoons to sophisticated illustrations and drawings. From preliminary sketches to prototype design, illustration and can capture and enhance all facets of your project. 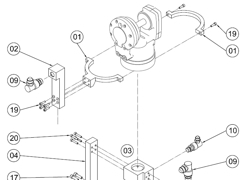 Mechanical drawing, line art technical illustrations, diagrams, schematics, flow charts. 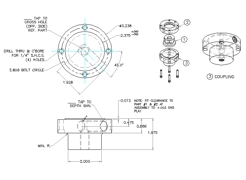 Add visual depth to operations manuals with assembly details, exploded views and cut-aways. Three-dimensional drawings can be generated based on orthographic view fabrication drawings, CAD data, product photos, or actual objects. Final illustrations available in a wide range of file formats.